New York Painting Services of New York is licensed and insured to supply commercial businesses and residential homes throughout New York and New Jersey with expert contracting services. Since 2004 we have risen above the competition by upholding the high moral standards and work ethics, friendly customer service, and above all superior execution in all services rendered. New York Painting Services tradesman have advanced training, years of valuable experience, and extraordinary skills that are amplified with state of the art equipment and high-end products, tools, and supplies sold only to licensed professionals; all to ensure our appreciated customers receive nothing less than premium results on all of their projects. Among the many services New York Painting Services offers commercial and residential customers of New York and New Jersey, cabinet refinishing is featured on our menu board. Cabinet refinishing is an important service to invest in from time to time; if not only to give your cabinets an updated look, but also as part of maintenance. Cabinet refinishing can be used to contribute to healthier and stunning aesthetics in any room to a home or business, as well as extend their lifespan. Typically, the kitchen has the most cabinetry and is where many families spend the majority of their time. Enjoying your surroundings can help promote a more relaxed atmosphere. Remodeling the kitchen cannot not only fit your budget at this time, but also fitting it into your busy schedule could prove challenging. Altering your worn and dull cabinets with a cabinet refinish service from New York Painting Services of New York can help improve your kitchen dramatically. With this simple service, your kitchen could possibly look completely different without changing anything else. Reviving your wooden cabinets back to life by our cabinet artisans will fit your time frame and your budget. 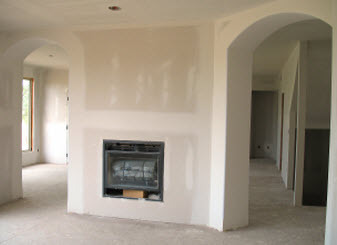 –	Original finish stripping completed meticulously. With the appropriate sanding and stripping, the old finish is thoroughly removed and the wood is smoothed as well as blemishes and flaws cleared. –	Treating with protecting lacquers. Before we apply the new finish, your cabinets are coated with a specialized lacquer that is designed to shield and protect your wood from the elements. –	Refinising by a multitude of choices. Between your options of stains, paints, glosses, mattes, colors, and so on; cabinets can be modified to completely change the dynamics and style of your kitchen. No matter what look you are envisioning for the cabinets in your home or business across New York and New Jersey, New York Painting Services has you covered. 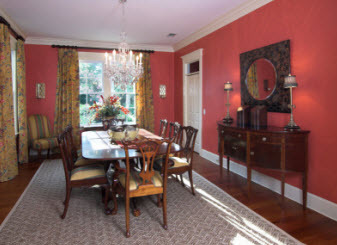 Our painting consultant specialists can help you determine the best look for your cabinets to either subtly blend into the room, or become a bold focal point. Our technicians will perform this task from start to finish with craftsmanship and precision to ensure your cabinets are crisp. Whether you want to upgrade or improve your cabinets, New York Painting Services professionals can make it happen quickly, affordably, and efficiently. 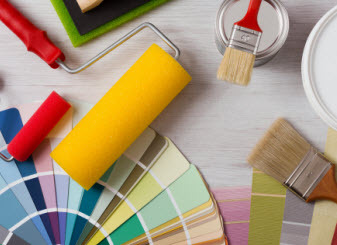 Call New York Painting Services today to get started!